Today I spent up large at the small record/comic book store by Lilla Torg, coming home with a selection of 9 LP's and 3 45's. 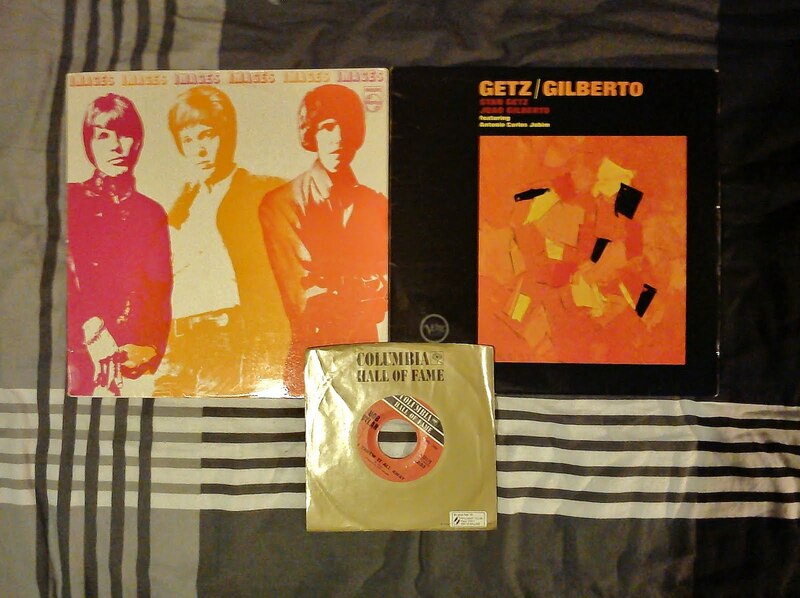 The three I found for myself appear to have a sort of orange theme running through them. Sometimes I forget how much I enjoy shopping for records - I think I had grown weary of it in recent months because I never seemed to find anything, and would always get so flustered at record shops because I could never decide what I was in fact looking for. There is nothing so disheartening as flicking through scores of records and finding nothing piquing your interest. Now I am excited about expanding my collection again, hunting for albums in Malmö and New Zealand, and exploring different music genres.